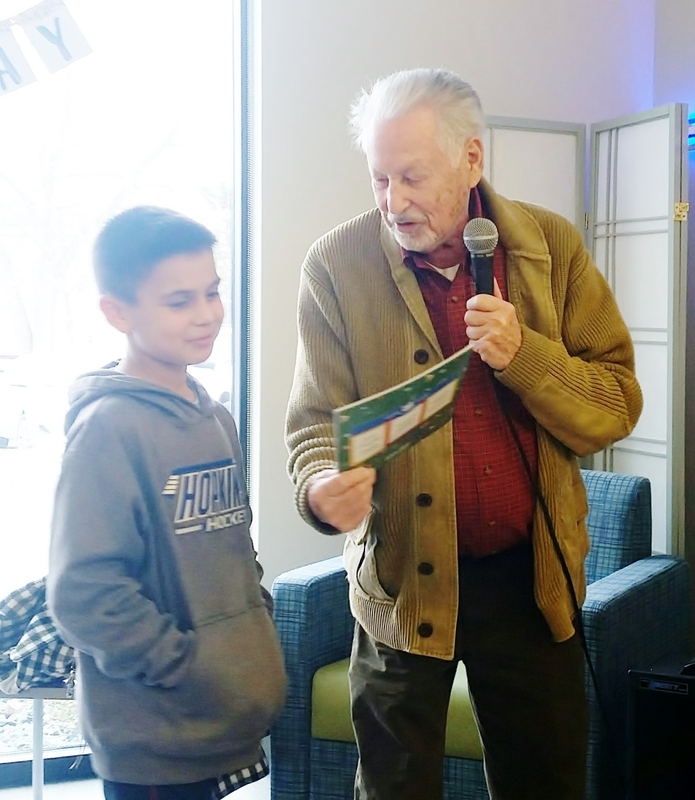 MINNEAPOLIS, MN, Nov. 12, 2018 – Lerner Publishing founder and PJ Library supporter Harry Lerner presented Noah Parks with the program’s milestone 100,000th free book at an event celebrating ten years of PJ Library, a program of Jewish Family and Children’s Service of Minneapolis (JFCS) held November 11. Parks, now age 11, has been receiving free books monthly since the inception of the program ten years ago. PJ Library is an international award-winning program designed to strengthen Jewish identity by sending Jewish-content books and music on a monthly basis to children from age 6 months through 8 years. It’s an initiative of the Harold Grinspoon Foundation and was established with the goal of helping families with young children create stronger Jewish homes through books with Jewish content. Publisher Harry Lerner and PJ Library member Noah look at the first book Noah received when the program began, When I First Held You.